Here is an LCD TV that not only enhances the décor of your home with its European styling and slim design, but also provides a great audio-visual experience with Crystal Clear III and Incredible Surround™. 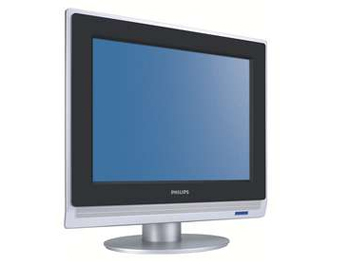 This XGA display with state-of-the-art LCD screen technology has a widescreen HD resolution of 1024 x 768p pixels. It produces brilliant flicker-free progressive scan pictures with optimum brightness and superb colours. This vibrant and sharp image will provide you with an enhanced viewing experience. Crystal Clear III combines a whole range of enhancements to provide a better picture. They include a 2D Comb filter, Dynamic contrast, Blue stretch and Green enhancement so that you always get the most natural looking colours.